Shale gas exploration company Cuadrilla said it planned to start fracking today, after a legal bid to stall operation on safety grounds was thrown out by a High Court judge. However, the firm has now revealed bad weather has forced it to postpone starting work until Monday. Cuadrilla welcomed yesterday’s judgement and said it will start the hydraulic fracturing process on the two horizontal wells it has drilled into deep lying Bowland Shale rock under its Preston New Road site near Little Plumpton. It will pump water, sand and chemicals down the wells to make small fractures in the rock to release natural gas stored there, which will then flow back to the surface to be recovered for the national grid. It said the hydraulic fracturing process will take approximately three months to complete for both horizontal exploration wells. Cuadrilla will then test the flow of natural gas from those two wells with initial results expected in the New Year. It will be the first horizontal gas well fracked in the UK and the first fracking Cuadrilla has done since the two earth tremors in 2011, which centred at its Preese Hall site, near Blackpool. The news of the failure of the injunction, which had temporarily delayed fracking for a week, has been greeted with disappointment among campaigners against fracking. 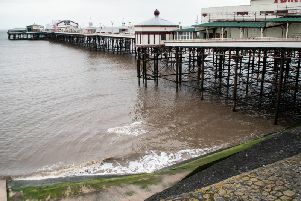 It had been brought by Fylde campaigner Bob Dennett, with help from Helen Chuntso, and said that work should be halted as there was no adequate emergency procedure in place around the site in case of a blow out or other safety incident. But the judge ruled that there was not a “serious issue” to be tried that would justify an interim order. On Thursday, Nathalie Lieven QC, for Cuadrilla, told the judge that her client “had been intending to start fracking” on Friday, but had “put that off to Saturday” in light of the late hearing. She added that “every day, it costs Cuadrilla £94,000 to keep all that kit and equipment on site”. Marc Willers QC, for Mr Dennett, had argued that Lancashire County Council failed “to take account of relevant material considerations” and also took account of “irrelevant matters” in its assessment of the alleged environmental and health and safety risks. He added that a risk assessment that “underpinned the hydraulic fracturing consent” was “fundamentally flawed”. He said the site’s safety had been assessed by the Health and Safety Executive (HSE) and there was “no evidence” to support Mr Dennett’s argument that it should have been categorised as posing more than a “medium risk”. Dismissing the application for an interim injunction to prevent Cuadrilla fracking at the site, he added: “The claimant first has to establish that there is a serious issue to be tried. Bob Dennett said after the hearing that he was surprised and disappointed but his legal team were confident they would have grounds to take the case to the Court of Appeal. He said: “This was not a frivolous attempt, a lot of hard work had gone into preparing this injunction, especially by my colleague Helen Chuntso. “We have been advised by the legal team that there are grounds to go to the Court of Appeal and we will be examining at that in more detail. “I have heard that right away Cuadrilla put out a statement saying they would start fracking tomorrow. “That’s a clear demonstration that they have little or no regard for the health and the safety of the local population. But the chief executive of Cuadrilla Francis Egan said: Francis Egan, CEO of Cuadrilla, said: “We are delighted to be starting our hydraulic fracturing operations as planned. “We are now commencing the final operational phase to evaluate the commercial potential for a new source of indigenous natural gas in Lancashire.